Rumors of a GameStop tablet have been proven true as the video game retailer confirmed its plans Monday. The Corporation affirmed that it could be re-branding an existing Android tablet lineup as its own instead of creating a new series for itself from the ground up. “I don’t see any need to create a new one with the three hundred or so on the market already,” said a GameStop representative. Still, the retailer is prepared to create its own brand if no existing tablet can fit the GameStop criteria. Exactly what brand of tablets GameStop has under consideration was not disclosed. As a result, the associated costs and manufacturing would be greatly reduced and the retailer could instead focus on specialized software in order to offer a unique gaming experience. Although GameStop did not go into detail, its upcoming tablet is expected to be able to stream game content as well. As for the obvious control issues, the GameStop tablet will be coming with a gamepad of sorts, but whether this will be a wireless accessory or external attachment remains to be seen. GameStop also announced Monday that its retail chains have begun accepting old iPods, iPhones and iPads from customers for trade-in credit or cash. While stores won’t take inoperable iOS devices, they will accept iPod Nanos, Shuffles and even Minis. We don’t expect the trade-in values to be very high, so the service should be most appealing to those wanting quick cash for quick console or PC games. The GameStop tablet is scheduled to ship late this year for a yet unannounced price and it should only be a matter of time before used iOS devices begin appearing on store shelves. Both moves signify a refocusing on downloadable game content for revenue instead of relying solely on used box game sales. 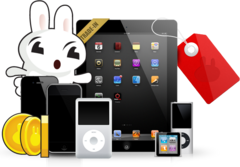 GRAPEVINE, Texas--(BUSINESS WIRE)--Got an iPod, iPhone or iPad collecting dust? Don’t trash it or let it sit and lose value – trade it for credit toward video games, gaming systems, downloadable content (DLC) and more at GameStop (NYSE: GME), the world’s largest multichannel retailer of video games. Beginning today, customers can take advantage of competitive trade values and earn credit by trading in their iPod, iPhone or iPad at GameStop stores nationwide. 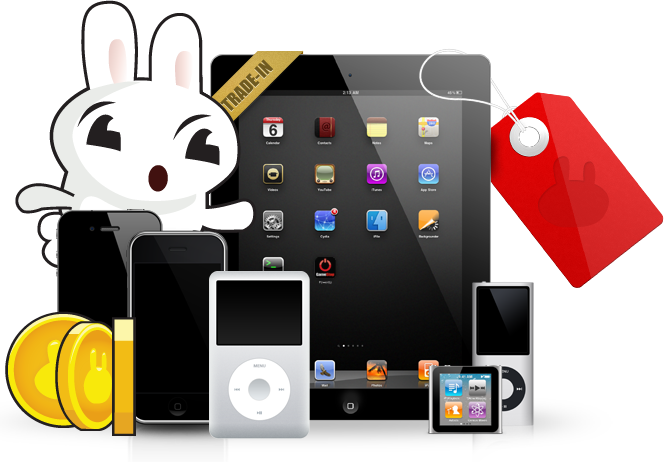 Trades of the iPod, iPhone or iPad must be in working condition and free from cosmetic defects. For complete details, including devices accepted, visit www.GameStop.com/iTrades or a local GameStop store. iPod, iPhone and iPad are registered trademarks of Apple Inc.
GameStop Corp. (NYSE: GME), a Fortune 500 and S&P 500 company headquartered in Grapevine, Texas, is the world's largest multichannel video game retailer. GameStop's retail network and family of brands include 6,582 company-operated stores in 17 countries worldwide and online at www.GameStop.com. The network also includes: www.Kongregate.com, a leading browser-based game site; Game Informer(R) magazine, the leading multi-platform video game publication; Spawn Labs, a streaming technology company; and a digital PC game distribution platform available at www.GameStop.com/PCGames.